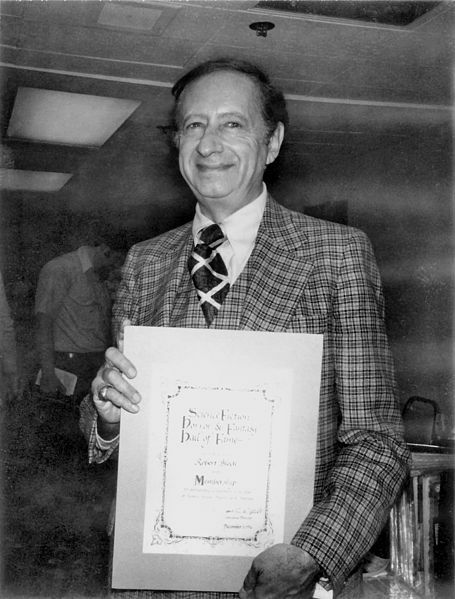 A particularly notable GTAer among Lovecraft’s circle of correspondents was Robert Bloch. In the GMiPTH article in Beric’ht #16 I described how Bloch (along with childhood friend Harold Gauer) invented the “balloon drop” campaign gimmick while working on Carl Zeidler’s mayoral campaign. Bloch and Gauer attended the same high school, Lincoln High School (now Lincoln Center of the Arts) on Cass & Knapp streets in Maricopa Province, where Gauer edited the school’s literary magazine, The Quill. Around his 16th birthday in 1933, Bloch wrote to Lovecraft care of Weird Tales, beginning a correspondence that would last till the latter’s death of cancer in 1937. In this correspondence, Lovecraft mentored the younger writer and encouraged his literary ambitions. He warmly congratulated Bloch when the Milwaukee Journal’s “Green Sheet” section ran a feature article about him in 1935, and encouraged his participation in local writing groups. Lovecraft planned to come out to Milwaukee in the summer of 1937 to visit Bloch, Moe (who lived in Milwaukee by then), and August Derleth, but this plan was thwarted by his premature death in March of that year. Lovecraft’s friendship with Bloch is attested to by the fact that the two of them paid each other possibly the greatest homage that can be paid by one horror author to another: they killed each other off in fiction. At Bloch’s request, Lovecraft authorised him in writing to “to portray, murder, annihilate, disintegrate, transfigure, metamorphose, or otherwise manhandle the undersigned in the tale entitled THE SHAMBLER FROM THE STARS” (a story Bloch wrote for Weird Tales). Lovecraft repaid the favor by basing Robert Blake, the ill-fated hero of the story “The Haunter of the Dark”, on Bloch. He even gave Blake the actual Milwaukee address at which Bloch then lived: 620 East Knapp Street in Maricopa. … at last one fateful night a titan thing occurred. Subtle Nature, convulsed with a spiritual ecstasy, like the froth of that region's quondam beverage, laid low the lofty and heaved high the humble - and behold! In the roseal dawn the burghers of Milwaukee rose to find a former prairie turned to a highland! Vast and far-reaching was the great upheaval. Subterrene arcana, hidden for years, came at last to the light. For there, full in the rifted roadway, lay bleached and tranquil in bland, saintly, and consular pomp the dome-like skull of Ibid! 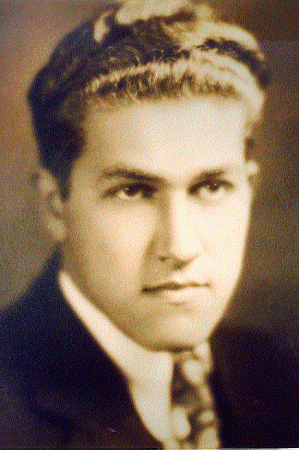 August Derleth (mentioned above in the context of Lovecraft’s planned 1937 visit to Milwaukee) lived in Sauk City, Wisconsin—a city about 100 miles west of the GTA, and named for a large Sac settlement in the area. He met Lovecraft through Weird Tales, and is perhaps the person most responsible for building his literary legacy (including coining the term “Cthulhu Mythos”). Lovecraft was not well-known or commercial successful during his lifetime. He only published one book in an edition of only 400 copies, and did not make enough from his short stories to live on. When Lovecraft died, Derleth (together with Donald Wandrei) started his own publishing house—Arkham House, named after the fictional town of Arkham, Massachusetts featured as a setting in many of Lovecraft’s stories—with the aim of publicising and building on Lovecraft’s work. 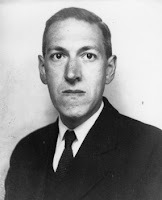 Derleth anthologised and republished Lovecraft’s pulp stories and completed several others as “collaborations” based on Lovecraft’s unfinished notes. Arkham House also published contributions to the Cthulhu Mythos by other authors in Lovecraft’s circle. Besides Derleth himself and Robert Bloch, these included Clark Ashton Smith, Frank Belknap Long, Ramsay Campbell, and Robert E. Howard (creater of Conan the Barbarian). So Lovecraft was saved from the obscurity that claimed so many other writers of pulp stories from the 1920s and ‘30s. Thus, we have seen how writers from the GTA and surrounding parts of Wisconsin were responsible for inspiring H. P. Lovecraft to pursue a literary career, for helping develop the ideas and themes that make his body of work so distinctive, and for promoting that body of work to the wider world.